Usually an easy fix. 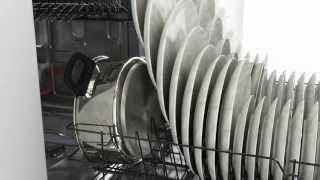 Most of the time it's simply a clogged tube or other area of the dishwasher. 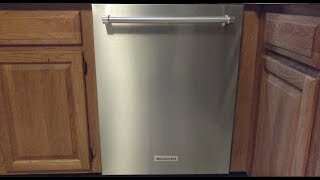 Replacement Dishwasher: http://amzn.to/2fUn6og The dishwasher in the video is a GE brand, however most brand function exactly the same, many even have the exact same parts! For the record, this dishwasher was not mine. 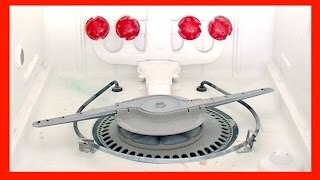 Dishwasher not draining, wont' start or not cleaning dishes properly? 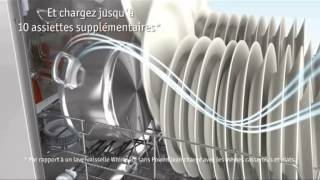 This video provides information on how a dishwasher works and offers troubleshooting tips to assist you in diagnosing and repair. 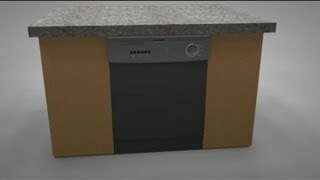 Here is a list of the most commonly replaced parts associated with each dishwasher symptom: Dishwasher doesn’t clean: water inlet valve, wash arm assemblies Dishwasher not draining: drain pump, drain impeller, water pump belt, solenoid Dishwasher leaking: water inlet valve, wash arm assemblies, door gasket Dishwasher won’t start: thermal fuse, door switch, door latch, control board Dishwasher won’t latch: door or latch assembly Dishwasher overflowing: water inlet valve, float switch How to disassemble your dishwasher: https://www.youtube.com/watch?v=-bgs_JicFQg?TLSID=1873 For more DIY videos including part replacement and help finding your model visit the repair help section of our website: http://www.repairclinic.com/RepairHelp/Dishwasher-Repair-Help?TLSID=1873 Click here to purchase replacement dishwasher parts: http://www.repairclinic.com/Shop-For-Parts/a9/Dishwasher-Parts?TLSID=1873 All of the information provided in this dishwasher troubleshooting video is applicable to the following brands: Asko, Bosch, Frigidaire, GE, Kenmore, Kitchenaid, LG, Maytag, Whirlpool. RepairClinic has millions of replacement parts for appliances, lawn equipment, power tools, and heating & cooling equipment including washers, dryers, dishwashers, refrigerators, lawn mowers, snowblowers, furnaces, and air conditioners. Our customer care team is available to help by phone or live chat, seven days a week: 1-800-269-2609. We guarantee the fastest shipping possible—all in-stock parts ship the same business day. Return any part for any reason with our generous 365-day return policy. In addition to providing replacement parts, RepairClinic.com offers free online troubleshooting information and DIY repair videos. Use our website to choose from a series of problems to discover the likely causes and the correct replacement part(s) for your particular model. Once you’ve determined the solution, our expertly-produced video tutorials will guide you through every step of the repair. At RepairClinic, we make fixing things easy! Connect With Us! https://plus.google.com/+repairclinic https://www.facebook.com/RepairClinic https://www.twitter.com/RepairClinic http://pinterest.com/RepairClinic/ Join our free VIP email list for discounts and money-saving tips: http://tinyurl.com/pnnh3be Check out our blog: http://www.DIY.RepairClinic.com Don't forget to like and comment on this video, and subscribe to our channel! 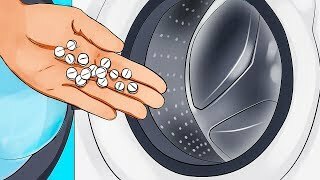 This video provides step-by-step repair instructions for replacing the door boot seal on a Whirlpool front-load washer. The most common reason for replacing the boot seal is if water is leaking from the seal. 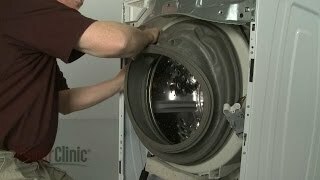 Buy part #WPW10340443: http://www.repairclinic.com/PartDetail/Door-Boot-Seal/WPW10340443/1937961?TLSID=1873 Learn how to troubleshoot your washing machine: http://www.repairclinic.com/RepairHelp/Washing-Machine-Repair-Help?TLSID=1873 This door boot seal replacement video is applicable to the following brands: Whirlpool, Maytag Tools needed: quarter-inch socket or nut driver, T-20 Torx bit, needle-nose pliers, Phillips-head screwdriver Connect With Us! https://plus.google.com/+repairclinic https://www.facebook.com/RepairClinic https://www.twitter.com/RepairClinic http://pinterest.com/RepairClinic/ Join our VIP email list for discounts and money-saving tips: http://tinyurl.com/pnnh3be Check out our blog: http://www.DIY.RepairClinic.com Don't forget to like and comment on this video, and subscribe to our channel! 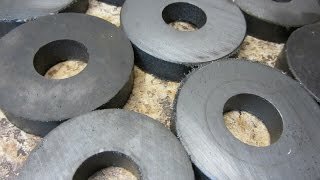 The gasket will wear and loose its shape after years of use. Replacing a door gasket will help to keep the door sealed tight. This video is only for entertainment purposes. 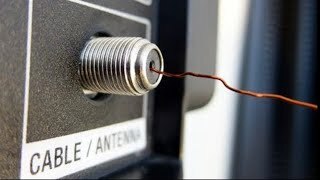 Any injury, damage, or loss that may result from improper use of tools, equipment, or from the information in this video is the sole responsibility of the viewer and is to be used at the discretion of the end user/viewer and not AdamDIY and or Adam Hill. If you rely on the information portrayed in this video, you assume the responsibility for the results. If you are uncertain about any step of the process or feel unsure about your skill level, seek a more authoritative source.